Eukarya > Animalia > Chordata > Thermic-mammalia > Carnivora > Thermic-Canidae > Calvariam-ruptor > Pleoxous. 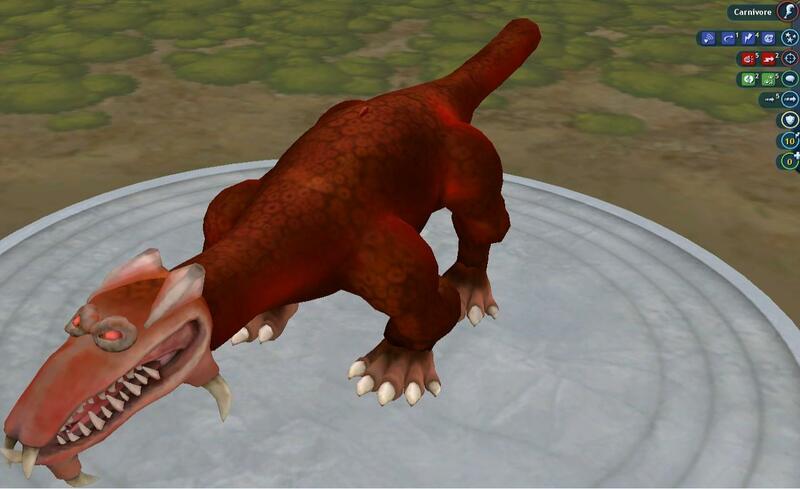 The great Pleoxeem is one of Fross' most fearsome predators within the desert habitat. This creature is extremely slow but very deadly, this big animal can hide itself in sandstorms when those are near, to ambush a prey at once. In the most chases, with its intense PSI it can amputate its prey's leg or arm. Then it will only be a waiting game until it falls on the ground. The great Pleoxeem is a Thermic-mammal which means it can regurate its body heat so precisely, unlike anything seen on Earth. It simply goes back after dinner to its hiding spot and lower his metabolism drastically to keep himself cold. The great Pleoxeem's main weapon are its teeth. It is at all times advised to keep yourself at least 10 maters of distance when still beast can still breathe. It doesn't matter how weak it has become, if he can still open his mouth he can always strike for a last kill. Because of this animal's heavy weighted bone structure to keep balance with its massive headgear. Next to its powerful jaw, the sandstorms on Fross are a very welcome extra for this creature. He's big enough to be nearly the king of its entire habitat on the only exception of the Ashae. Don't look at the ratings the game spore put there... the animal isn't fast for those who play the game and judge the animal by that fake score. 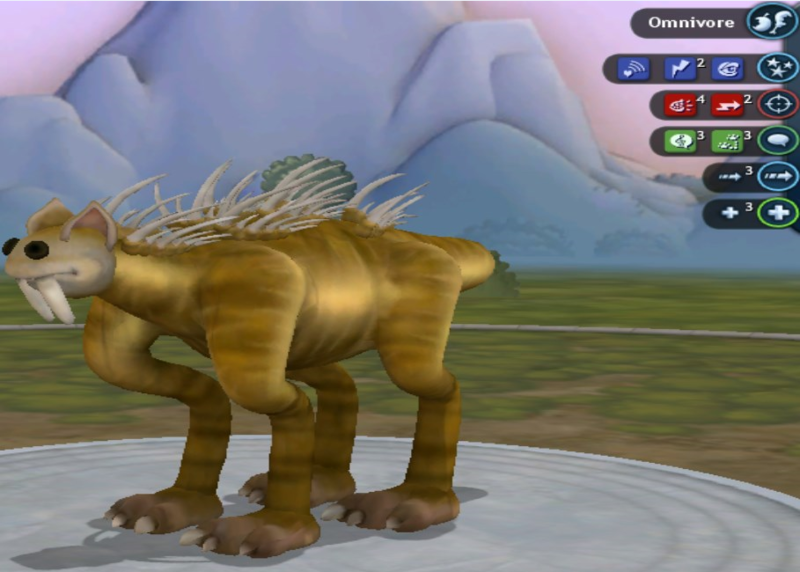 On Spore GA I can edit that in the adventures I create, and that's also what I did. Next to that, criticism is welcome, but trolls will not be fed. I've tried to do a little research, so mistakes are possible ofcourse. And as last, if anyone wants to RP, feel free to message me or (rather) add my skype of course.